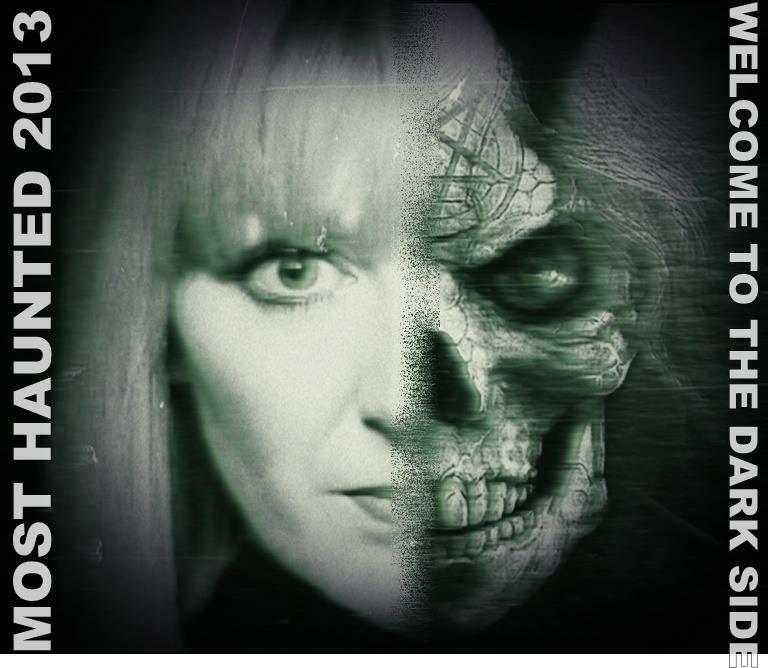 The team at Ghost Central UK took some of the Most Haunted team, including Yvette Fielding, Karl Beattie and Stuart Torevell, to investigate the Former Stanley Tools Factory in Neepsend. More than a dozen members of the public were along for a whole night of paranormal investigation. According to news coverage from The Star they found evidence of supernatural. We explored the dark and derelict building. We conducted séances, a ouija board and table tipping. “Our group heard tapping noises in answer to our questions and we determined it was a male spirit. “These taps were witnessed by about 12 people – by the team, guests and Karl and Yvette. The team were using devices, perhaps ones similar to a K-II EMF Meter, to trace high electromagnetic fields. The factory, strangely, had one. 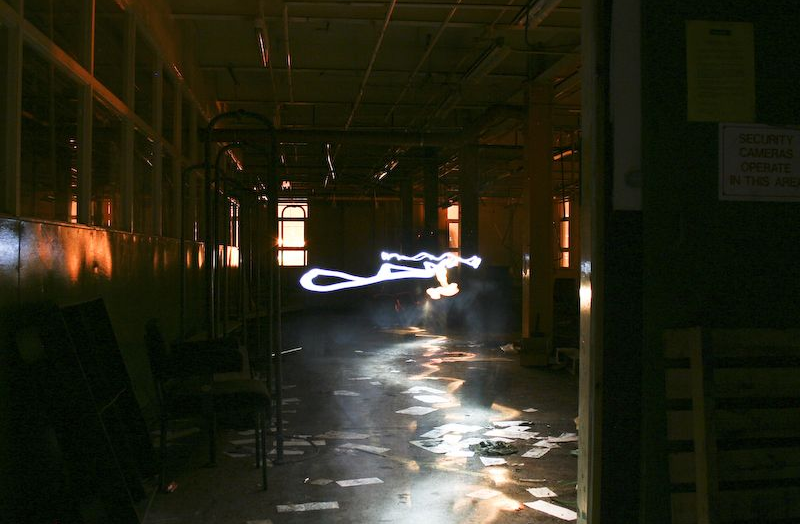 Where you part of this ghost hunt or do you know the factory? Let us know in the comments below if you have any thoughts about it? Tempted by an overnight ghost hunt of your own? You can book one at sites like Red Letter Days for about £69. Newton House or Newton Nightmares? Newton House in Wales is currently maintained by the National Trust and is a truly elegant and beautiful building. It dates back to the 1600’s and has had much influence from gothic and Victorian times, with some parts of the building being added on in the 18th century. It hasn’t always been the pretty site it appears today though. In 1974, the building was sold and it suffered. It is situated near the small market town of Llandelio in South Wales and has recently been restored to it’s former glory. It’s gothic appearance has fuelled the suspicions of many that it is in fact a paranormally active building, which explains why it has appeared on most haunted before, along with many other chilling stories. The structural integrity of the building was damaged, when squatters moved in and used many of the wooden support beams for firewood. This now makes the floorboards on the upper floor very dangerous to walk on. The squatters that have lived there have also stripped the house of many of it’s original features, diminishing the buildings overall charm. The house also has a chilling history to it. The now picturesque surroundings of a deer park and well maintained gardens do not simply make it’s sinister past disappear. The earliest and most prominent spooky story from the house, that perhaps sparked most of the intrigue and suspicion about it’s paranormal activity is when Lady Elinor Cavendish was strangled by a suitor. The most disturbing, yet interesting part of this story is that many visitors report being able to feel invisible hands placed around their necks whilst they are in the house, a spooky thought indeed. There is this story and many others that have seen the times place the house as the number four most haunted site in Britain! The house even looks haunted, if you imagine a generic, scary, old haunted house, then something resembling Newton House springs to mind. The stories of ghosts do not disappoint it’s appearance either. The ghost of Lady Elinor is called the white lady and had a rather large prominence the last time time that most haunted visited the house. She was murdered in cold blood by a man she did not want to marry and ever since, it has been said that she haunts the house. There have even been tales of a beautiful girl appearing, almost out of thin air and disappearing, into a cupboard, seconds later, never to be seen again. There has also been reports that a man was hung there centuries ago, which is another reason visitors feel like they are being strangled on entering the house. Many visitors have also seen a haggard old lady, who appears at the top of the stairs. This woman is dressed all in black and looks that ferocious, scary and evil that many visitors do not dare walk past where the spirit stands. Even the land on which the house is built is said to be cursed. There are many inns and hotels nearby that are said to of had numerous people hung in their hotel rooms and the area is basically well-known by many to be haunted, not just the house itself. One story in particular is the legend of the nearby Skirrid Mountain Inn is that a huge number of felons, 182 to be precise, have been found, hung, above the staircase. There have been several reports of a poltergeist moving objects around the house as well. A particularly spooky encounter is said to involve a wheelchair in the next episode of most haunted. The band members of Bullet for my valentine are really shaken and the ordeal with the wheelchair is said to provide some of the most conclusive paranormal proof that there has ever been in Newton House. 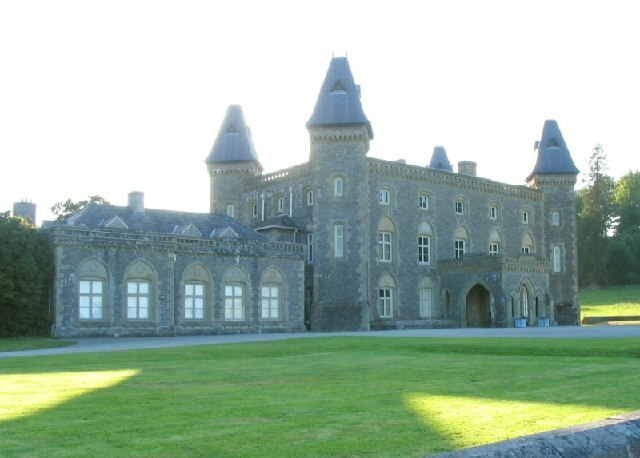 Have you visited Newton House, Llandeilo, and encountered anything spooky? It’s considered by some to be one of the most haunted locations in the country. The Most Haunted brand is coming back. 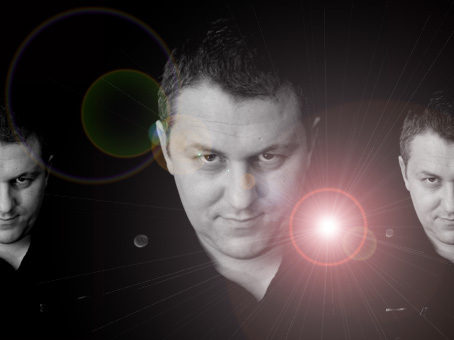 The owner of Haunted Events UK, Lee Roberts, has teamed up with Karl Beattie to launch Most Haunted Paranormal Nights. The brand returns as a pair of live events for which tickets are on sale, if you’re quick. Some Most Haunted fans may not have encountered Haunted Events UK yet or may not yet have caught up with the news. In Pure Spirit reached out to Lee Roberts, asking for an interview, looking to ask some questions about the return. Lee kindly found the time to help. Readers may have heard that Most Haunted has teamed up with Haunted Events UK. Could you tell us a little about Haunted Events UK and yourself? My name is Lee Roberts and I have been investigating the Paranormal now for over 16 years. I started off with a private team and after many years of investigating private houses, pubs and clubs we investigated a location called Clifton Hall in Nottinghamshire. This got a lot of attention and hit a lot of headlines all over the world due to the activity that was found. I decided to start Haunted Events UK in 2010 to let the public see what we do on an investigation. I went on to present a few TV shows here in the UK and in the US and have appeared many times on TV and radio speaking about the Paranormal. Where did the idea to do Most Haunted Paranormal Nights come from? Did Karl Beattie contact you first? Karl and Myself have spoken for quite a while regarding a few projects, Karl wanted to give something back to the fans and let them experience a Ghost Hunt with some of the team. He knew I ran events via Haunted Events UK and he also liked how we ran them so asked if I could organise some events for him. What do you hope to achieve at Morecambe Winter Gardens and the first event? We hope to meet some of the fantastic Most Haunted Fans, have a good time and enjoy ourselves. The paranormal activity will come if it’s there but we can never guarantee that. We want to let the fans have a go, have fun and meet and have a go with Karl and Stuart. What are the plans for the future? More events? TV? Online broadcasts with YouTube or Twitch? I can only comment on the public events I’m afraid, the TV side is all dealt with by Karl and he is busy editing episodes as we speak. Event wise we want to do the two at Morecambe, have a good time and then look at it again from there, hopefully we will do more BUT that is down to Karl and if he feels he and the fans got out of it what he hoped for. How hard is to run a paranormal investigation? The key to any Paranormal Investigation is to have fun, enjoy it and experiment. No-one has the final answer on how they are run so have a go, go with your gut instinct and you’ll find what works and what doesn’t. You don’t need to be a Parapsychologist or Scientist to run these although there is a place for real serious research. The investigation bit is easy, it’s the research afterwards that’s the hard bit. What extra pressures are there when you unite a paranormal investigation with an event? Can you be sure paying ticket holders will experience something interesting? No, there is no pressure at all really, my moto is I would rather guests go home disappointed that nothing happened rather than fake anything. It will happen if it’s there and the energies are right. If there’s a scale with “scientific investigation” on one end and “entertainment” at the other; where will you place Most Haunted Paranormal Night events? Very much on entertainment and having fun, letting the guests experience a Ghost Hunt… we are not recording all the evidence for research but we do explain what the activity could of been, we always look and explain the science of any activity and experiment.. but we are here to provide a service and let them have a good time. What are the three most important pieces of kit that paranormal investigators should carry while they’re on scene? Yourself, a torch and a key to get out quickly! I always say to go on a Ghost Hunt you need one bit of equipment, your own senses is key, follow your instincts and try and see, hear, feel, sense, the scientific equipment is brilliant BUT no essential. What’s the most haunted location in the United Kingdom that you’re aware of? Would you like to run a Most Haunted Paranormal Nights event there? Good Question, the most active I’ve experienced is Newstead Abbey in Nottingham, I am lucky enough to run the events for them and when you get a good night it is amazing. The spookiest I would have to go back to Clifton Hall in Notts, it was such a weird location, not as much activity but more like the twighlight zone! Thanks to Lee for his time and answers. Based on Lee’s experience I dug quickly into Newstead Abbey in Nottingham and found this silent but rather freaky YouTube video. Watch for the 1:10 mark and the figure that moves in the background. A flash? A person? It’s very fast. What do you think about the launch of Most Haunted Paranormal Nights? Let us know in the comments below. 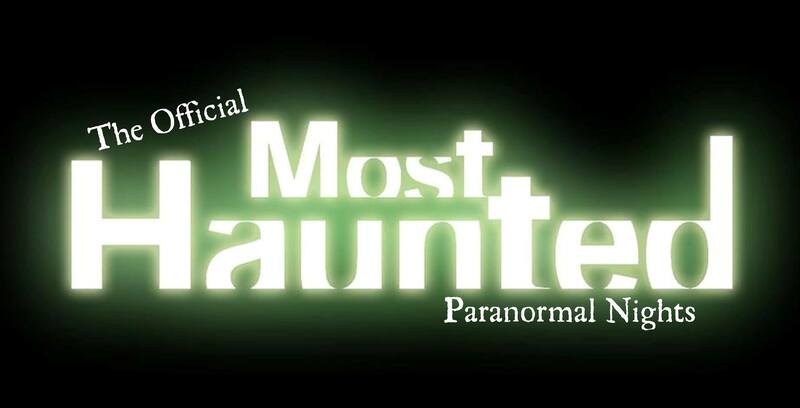 Karl Beattie of Most Haunted has teamed up with Lee Roberts of Haunted Events UK to launch Official Most Haunted Paranormal Nights. Haunted Events UK runs ghost hunting events. As Lee mentions in the showreel below his “ghost hunting” isn’t the same as a ghost tour in which you simply learn about the history but actually take part of an investigation. The first Most Haunted Paranormal Nights branded event will happen on the 25th of April at Morecambe Winter Gardens and will include Karl Beattie and Stuart Torevell. Tickets are £50 per person per night, with a £10 deposit. The second night is the Saturday afterwards, the 26th, and tickets open to sale for the public on the 17th of February. Writing on Facebook Lee discussed plans to extend Most Haunted Paranormal Nights over the course of the year. We plan to travel the UK to some of the Most Haunted Locations seen over the years on the show, plus new ones, giving you the Ghost Hunt of all Ghost Hunts with the team! While Most Haunted’s lead presenter Yvette Fielding isn’t mentioned for the Morecambe Winter Gardens event she was mentioned in the launch message. I am pleased to announce that myself and Karl Beattie have joined forced to launch the brand new Official Most Haunted Paranormal Nights where YOU can come along and Join the Likes of Karl, Yvette, Stuart and Fred on your very own Most Haunted Ghost Hunt. There is an official Facebook Page for the new venture already in place. There have been no further events announced, despite fans already inviting the Most Haunted Paranormal Nights team to their neck of the woods, although the Haunted Events UK YouTube page contains a trailer for a Sherwood Forest ghost hunt event. Are you pleased to see the Most Haunted brand back? Are you pleased to see it back in this format? Do you think casual fans of the show will be able to tap into the Most Haunted Paranormal Nights vibe? Would it work as a webseries run off YouTube? There’s been rumours of Most Haunted returning to TV ever since Most Haunted went away. However, the re-runs keep running and that seems to show the value in the series. Now it looks like Most Haunted might be back and it will happen this year. The news comes from the closed Facebook group Access All Areas of Paranormal with the Karl & Yvette Team Support Group and spread by pages like Most Haunted: The Next Generation. The new show will star Yvette Fielding, Karl Beattie and also Fred Batt. Batt’s done plenty of work on the show before as their demonologist. The 2013 Most Haunted promises to be darker and more scientific. This will put it in line with the US based ghost hunting shows that make heavy use of technology and a more aggressive approach to their investigations. Whereas old Most Haunted might feature people running away from a noise in the darkness, the new breed of shows would have people run towards it and this might be what Most Haunted 2013 will try and do as well. Most Haunted was cleared of deception back in 2005 when the Ofcom regulated ruled it counted as entertainment rather than a legitimate investigation into the paranormal. Don’t take the show seriously, said the official advice. Nevertheless, some fans will want investigations to be as real as possible. Other fans will want the investigations to be as fruitful as possible. The new Most Haunted will have to try and balance those needs. Do you believe Most Haunted will return to a widely available TV channel this year? If it does… is that a good thing? 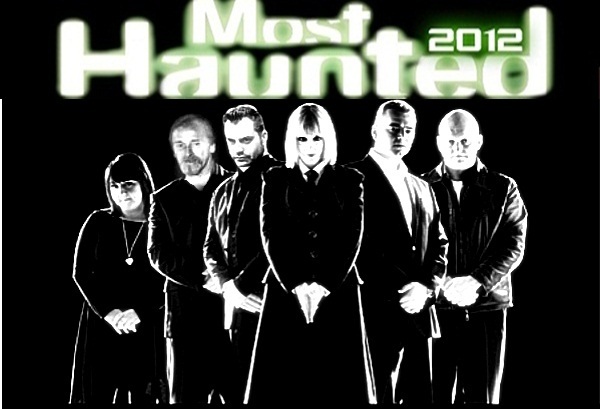 Most Haunted to return in 2012? Most Haunted was one of the most popular ghost hunting TV shows in the UK. Many would credit it with creating the genre. It has been off the air for years however there have been some developments. In 2011 Sky Living decided not to recommission Most Haunted but did give the rights to the brand back to Antix Productions. Antix is the company owned by Karl Beattie and Yvette Fielding. In 2011 Antix did not manage to push Most Haunted back on air. They did manage a DVD called Most Haunted: Christmas Spirits which included previously unseen footage. The DVD is an example of the sort of thing Antix can produce with the license for Most Haunted back in their control. As things stand now Antix has a relationship with Lionsgate, who helped distribute the DVD, but no TV channel to air the show on. To keep up to date with Most Haunted news then Facebook communities like Most Haunted: The Next Generation are a good way to go. Diehard fans rush to surface the latest hint of news. Do you want Most Haunted back on TV? 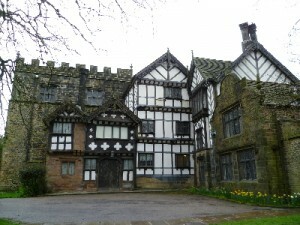 Are there ghosts at Turton Tower? Turton Tower is a Grade I listed building as well as a scheduled ancient monument. It will open to ghost hunters for the first time this year; after refusing access to Most Haunted over concerns that filming equipment would damage the property. It is believed that the de Lathom family occupied Turton Tower around the year 1200 – when it was part of the barony of Manchester. The famous pele tower was rebuilt by the Orrells in 1420. In 1628 Humphrey Chetham bought the tower. A few years later (1642) the Civil War broke out; Chetham sided with the Roundheads and allowed troops to be garrisoned inside the estate. The Orrells, however, were Cavaliers. It is now owned by the Blackburn with Darwen Council. In November and December of this year small groups of visitors will be given ghost tours. The tours range from 3am and 4am visits and are for 18+ only. It is said that two skulls are kept in the Towers that have been linked to previous hauntings elsewhere – in particular the appearance of two ghostly men who appear to be duelling. A woman dressed for mourning is said to stalk the staircase of the tower, sobbing and shuffling slowly. A security guard is reported to have gone to the aid of a woman leaning against a fence – only for her to disappear as he got close. Have you been to Turton Tower? Do you think it’s haunted? Do you think the council are doing the right thing, raising money for its keep by letting ghost hunting tours inside? 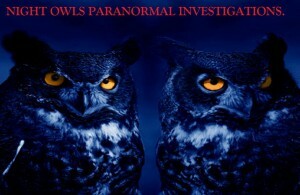 Will the Night Owls replace Most Haunted? 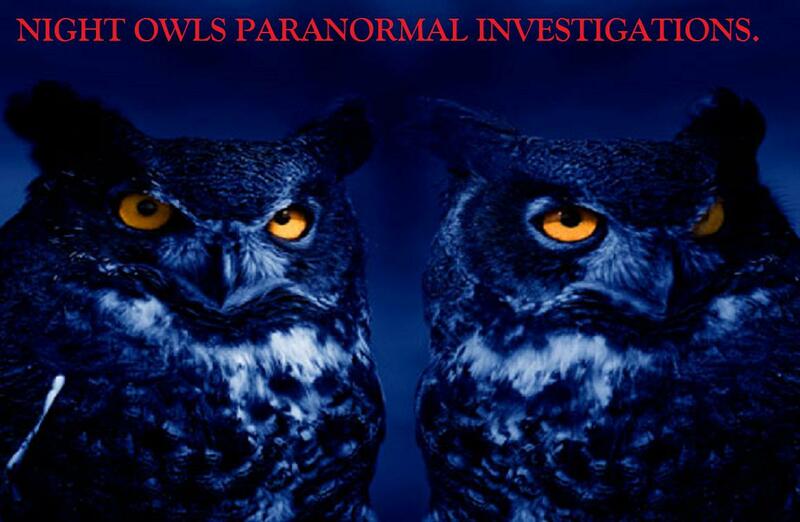 It is believed that the North Lincolnshire paranormal investigation group the Night Owls are in negotiations with Virgin Media’s Seven TV. A six part series is in the cards. It is true that Virgin Media ran the Living TV channel while Most Haunted and Most Haunted Live was at its height and that the Night Owls have already had some media success. Last year Selina Maycock from the Telegraph went with the investigators for an all-night study of the Skipworth Arms in Moortown. That said; is an alternative to Most Haunted really on the cards? However, a true replacement to Most Haunted seems unlikely at this stage. Channel 7 is a local TV station that covers regional interest stories – and although this may help raise the profile of the Night Owls they are still significantly short of the exposure Most Haunted once had. It also looks like there is a risk that Night Owls will miss out on any Halloween broadcasts. Scunthorpe press have revealed that the group is due to brainstorm with Seven on the 18th. Unless a camera crew, filming permission and a hole in the schedule can be found quickly then this seems like too short notice to match the ghost hunters with the best night of the year for audiences. Sky have returned the rights to the Most Haunted brand. What do you think? Could this be the start of a new TV-known name of ghost investigations or do you think we’re unlikely to see the Night Owls outside of local TV? Do you want a replacement to Most Haunted or do you think a TV company should step in and pick up the rights? At the end of March we wrote up how ex-Most Haunted exorcist and pyshic Ian Lawman would be buried alive at Dudley Castle. It’s happened. He was buried alive at the start of the month and is only due to be freed from his coffin on the 8th. Want to see how he’s getting on? You can tune in this live webcam stream of the buried pyshic right here. “It is extremely worrying to watch, but I am proud of Ian because he is being so brave. “Seeing him lowered into the ground was horrific for me. A few of the people watching broke down, because of how traumatic the experience was. “When the coffin disappeared below the ground, it was terrible. Watching them throw heaps of dirt on top of him, and knowing that he was cooped up down there was very difficult to deal with. As a reminder; Ian’s doing this for charity and you can make donations here. Do you think he’ll last the full week? Love to know what you think about this extreme test in the comments box below.